1. 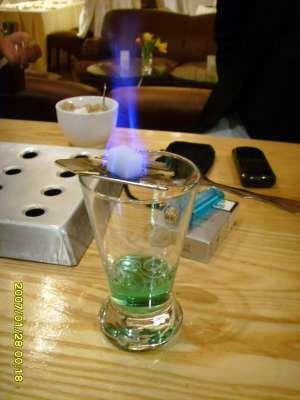 Soak a teaspoon of sugar in a shot (30ml) of Absinthe. 2. Light the sugar and let it burn so that it bubbles and caramelized. 5. Add 30ml. water to the Absinthe, stir and serve. 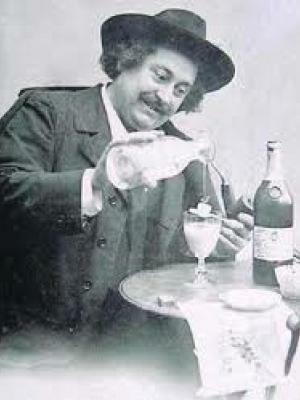 Absinthe is enjoying a revival in London bars after some notoriety in the early 19th century put it out of flavor. The infusion of wormwood was believed to endanger health, but any casualties were much more likely to have been the result of its high alcohol content. It can be as much as 140 proof – so it’s probably best to stick to just one! Copyright © 2019, Perfect Cocktail. Proudly powered by WordPress. Blackoot design by Iceable Themes.